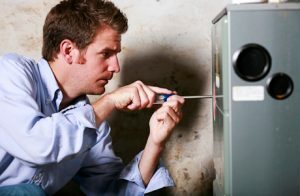 Are annual furnace tune-ups in Greensboro really necessary? You are here: Home / HVAC Info & Articles / Articles / Are annual furnace tune-ups necessary? Are annual furnace tune-ups necessary? So, Are Furnace Tune-Ups Necessary? Put simply; YES, an annual tune-up is necessary. After all, your furnace is one of the most expensive appliances within your home; and just like your car, it needs to be regularly cleaned and maintained. Aside from providing savings on your energy bill, an annual tune-up helps to keep your family safe. Even better, annual tune-ups ensure that your furnace stays within the manufacturer’s warranty. Furnace inspection and tune-up. When you select this option you can rest comfortably knowing that your furnace is in the hands of professionals. Our technicians will visit your home to perform our multi-point inspection, clean, and tune-up your furnace. Furnace repair. If we find issues with your furnace during the annual inspection, we will gladly inform you, allowing you to choose if you want to repair now or another time. Even better, you may qualify for discounted repairs if your furnace is still under warranty or you are on one of our service plans. Emergency Service & Repair. We understand that accidents may happen, which is why we have technicians on-call 24/7. If you have an emergency that needs to be addressed quickly, don’t hesitate to call us. We’ll be happy to send out a technician to assist you, even if it’s 3 am. Furnace replacement. If your furnace has simply given out, don’t worry. We offer several replacement options. Our comfort specialist, will meet with you to discuss your best options. We can then order and install your new furnace of choice. We install all types of systems: oil furnaces, propane furnaces, heat pumps, gas furnaces, solar units, geothermal units, duel fuel units and more. Tank Installation. Our technicians are fully equipped to install oil, gas, and propane tanks. We even offer tank installation at commercial businesses. Free Energy Audits. That’s right, we offer completely FREE energy audits. Simply call to schedule your free audit and we’ll send out a technician to evaluate your home. We’ll give you a list of possible improvements and savings, and let you decide what to do next. As you can see, we offer a variety of different services to suit your needs. Whether you need a basic furnace tune-up or a complete overhaul, Berico can handle it. Locally owned and operated in the Greensboro area, we at Berico are committed to keep you comfortable in the summer and winter. If you’ve been debating on a home furnace tune-up, don’t hesitate to contact us today. We’ll answer any questions you may, show you the benefits, and schedule an appointment. https://www.berico.com/wp-content/uploads/2018/12/header-logo-new-3a.png 0 0 berico_admin https://www.berico.com/wp-content/uploads/2018/12/header-logo-new-3a.png berico_admin2013-10-04 05:28:392017-11-01 17:53:50Are annual furnace tune-ups necessary?